Kettler has revised and improved a successful product - the Skylon 4. The running movement remains the same and still offers the elliptical movement for an ergonomic training. The low pedal space (Q factor) of 10 cm is extremely comfortable and avoids a knock knee position on the machine, which would present a stress for both joints. Similar to controlling modern cars, the Advanced console can be used via a practical joystick. Using this control knob, you easily and intuitively navigate through the menu and quickly set the training or change different parameters. The console is adjustable in incline and can be individually adapted according to the user's height. Up to four user profiles can be set, a guest profile as well. Hence up to four users, maybe a whole family, can set their specific programmes and measure and document their training success. The pulse or watt zones are graphically displayed on the LCD display - depending upon the setting - and offer a quick orientation. 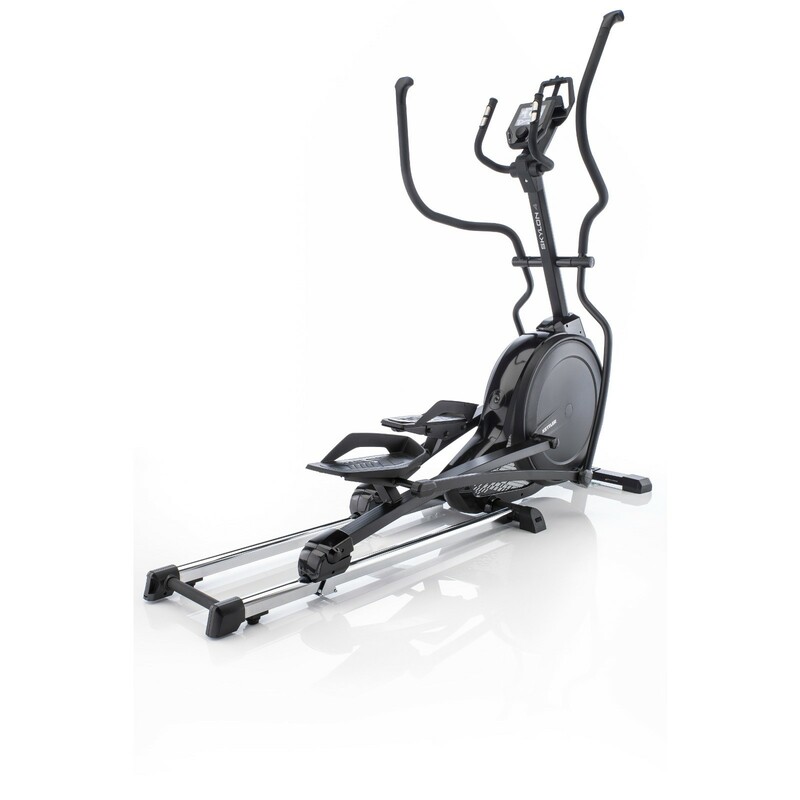 The Kettler elliptical cross trainer Skylon 4 is developed and made in Germany. The components are high-quality and sensitive zones are double safed. Hence, alignment ball bearings are built in the arm levers and other mechanic joints are equipped with double ball bearings. The folding system is very user-friendly and allows the folding with just one hand. Kettler elliptical cross trainer Skylon 4 add to comparison list.